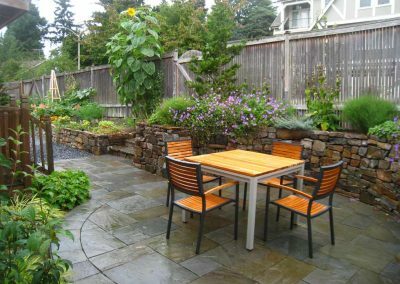 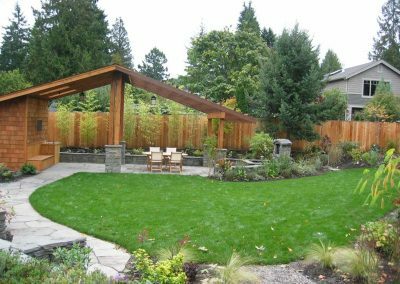 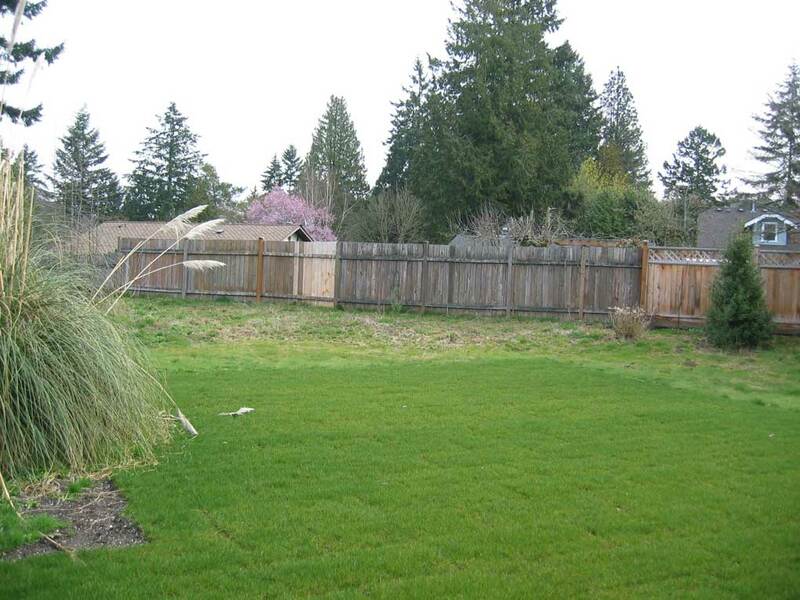 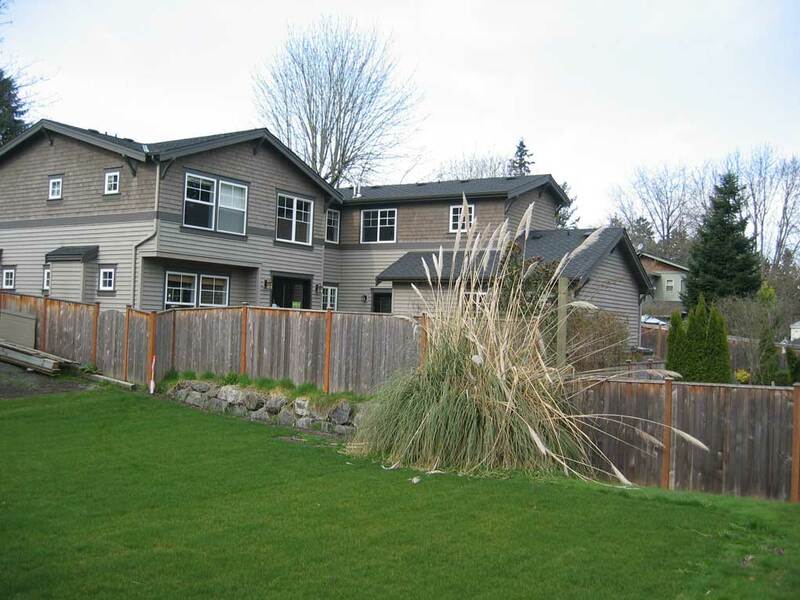 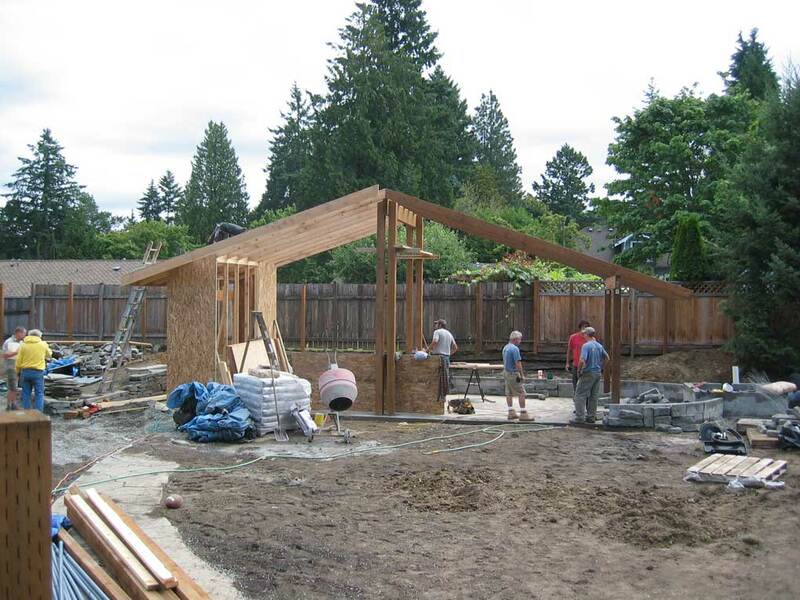 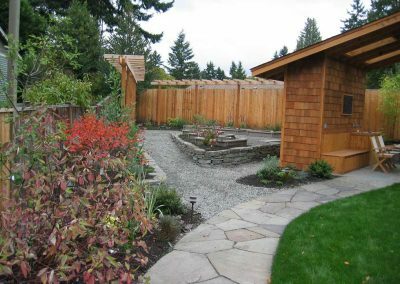 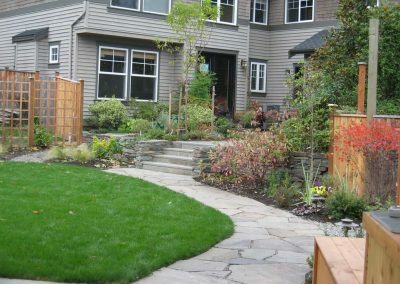 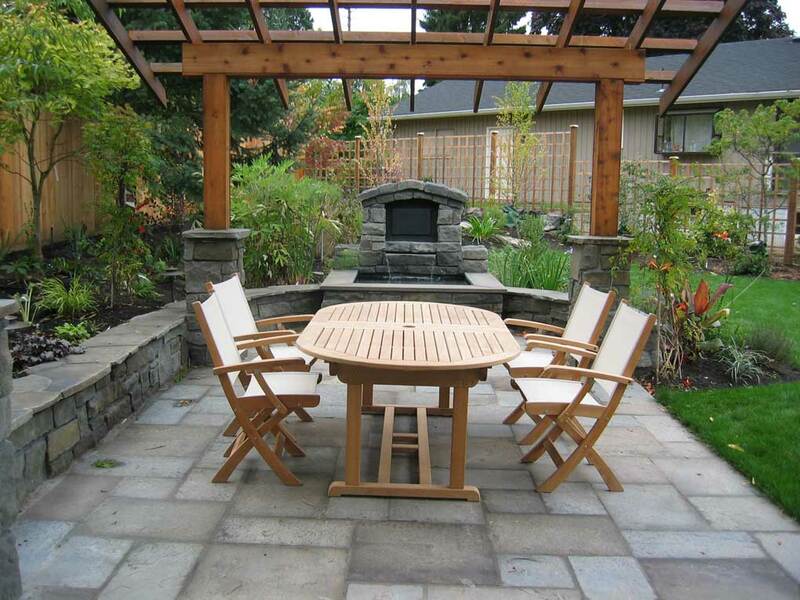 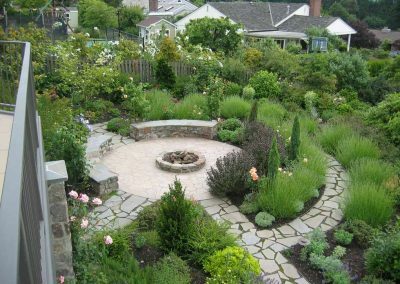 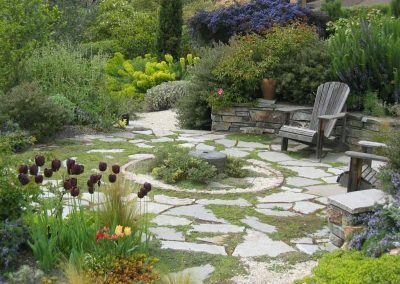 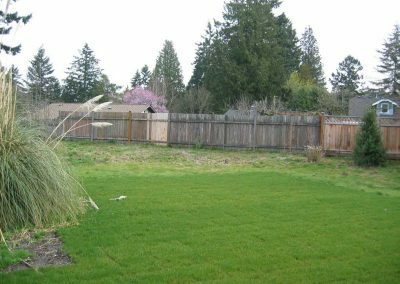 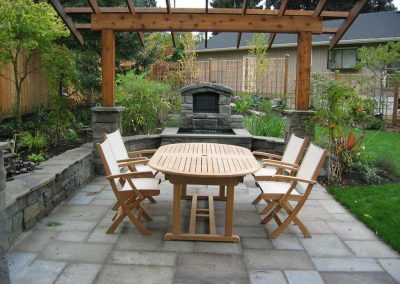 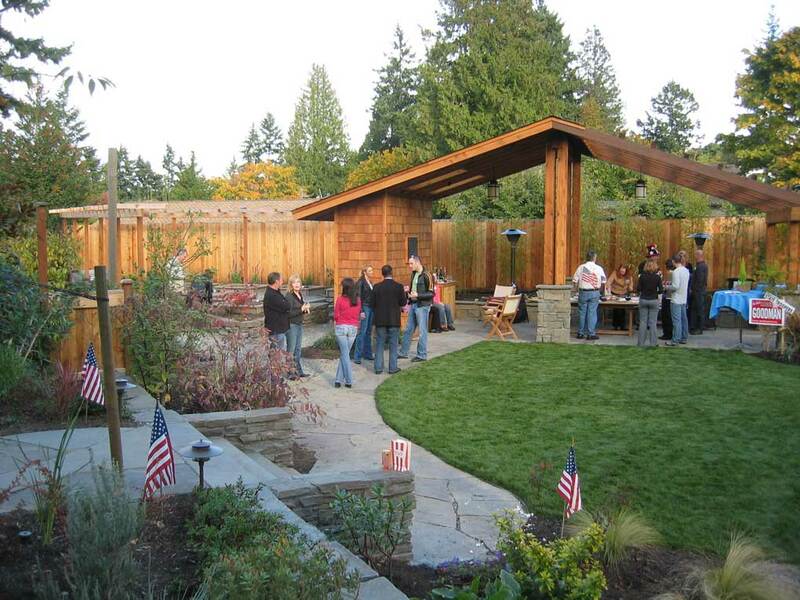 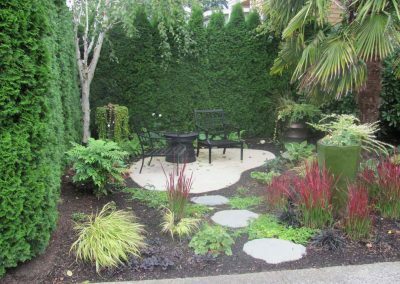 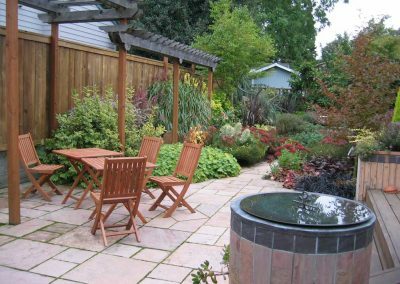 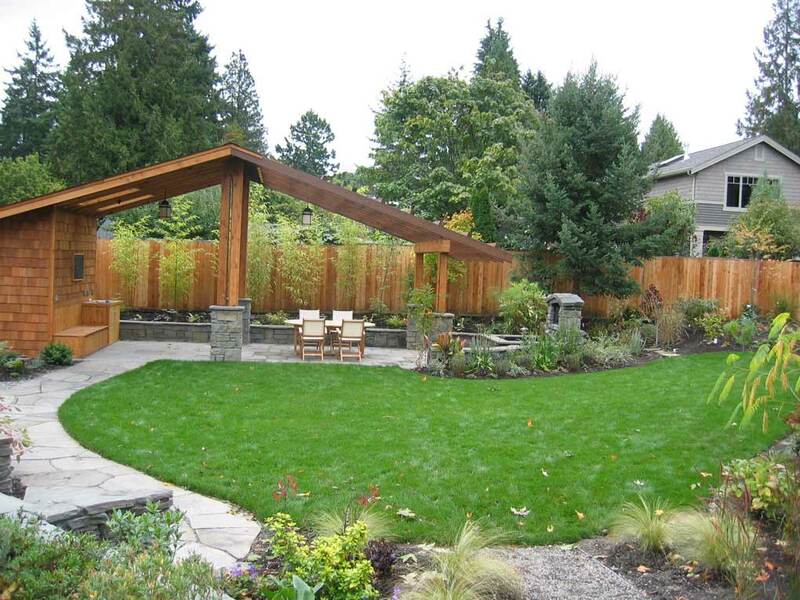 The owners of this Kirkland garden west of Market bought adjacent property to provide a family play space. 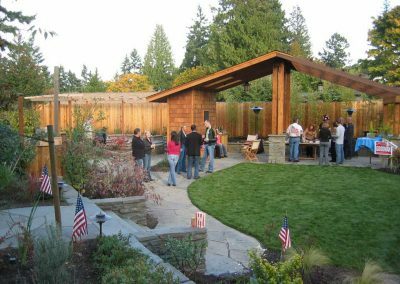 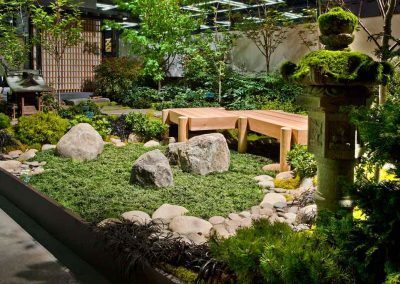 Inspired by park shelters, the covered living area and adjacent arbor over the dining area creates outdoor entertaining space. 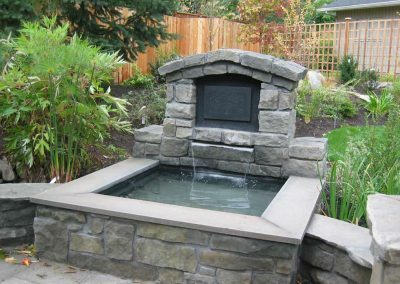 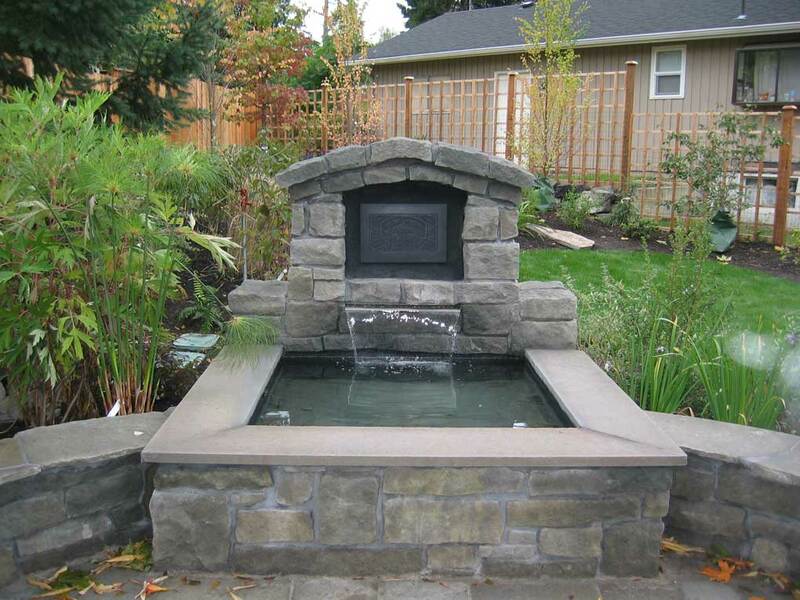 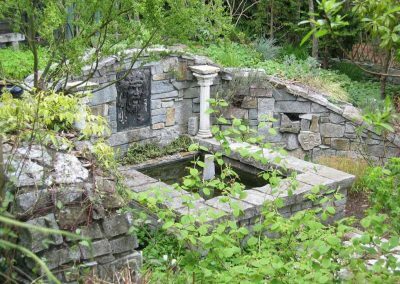 The fountain gives an attractive focal point.